Even in the era of plastic we live in today, there are still plenty of instances when cash is the preferred payment method. Sometimes, it's the only available payment method. For this reason, and many others that we'll explore, you should consider retail ATMs as a new means of profit for your business. If your business only accepts cash, it's courteous to your customers to have an ATM handy. Only accepting cash is also a guarantee that your ATM will be used frequently enough to be profitable.You should also consider whether there are any neighboring businesses that only accept cash. Once it becomes known that your business has an ATM, people will stop in to grab some cash before heading next door. Your business might be located in a high traffic area such as a shopping district or downtown. There may not be retail ATMs readily available within walking distance for your customers. That opens up a golden opportunity for your business, especially if you update your online search information — when people search for terms like "ATMs near me," your business will pop up and they'll be headed your way. A good way to judge whether there aren't other conveniently located retail ATMs is whether customers frequent your business to ask if you have one available. This is also a good way to gauge interest and get an idea of how many people regularly come to your business seeking out an ATM. If it's a lot, you should definitely consider an ATM for your store. If you're the owner of a convenience store, for example, you should definitely consider getting an ATM for your business — there's nothing more convenient than having access to cash! In fact, many people turn to convenience stores first when they're searching for retail ATMs, which means that your ATM will get plenty of traffic. Rather than going through the sometimes complicated process of giving your customers cash back, provide them with an ATM so your checkout line keeps moving. Plus, when you get your ATM from MOBILEMONEY, you won't have to worry about any fees being taken out of your profits due to cash back fees. If your business receives frequent cash back requests from customers, retail ATMs can be a major asset. 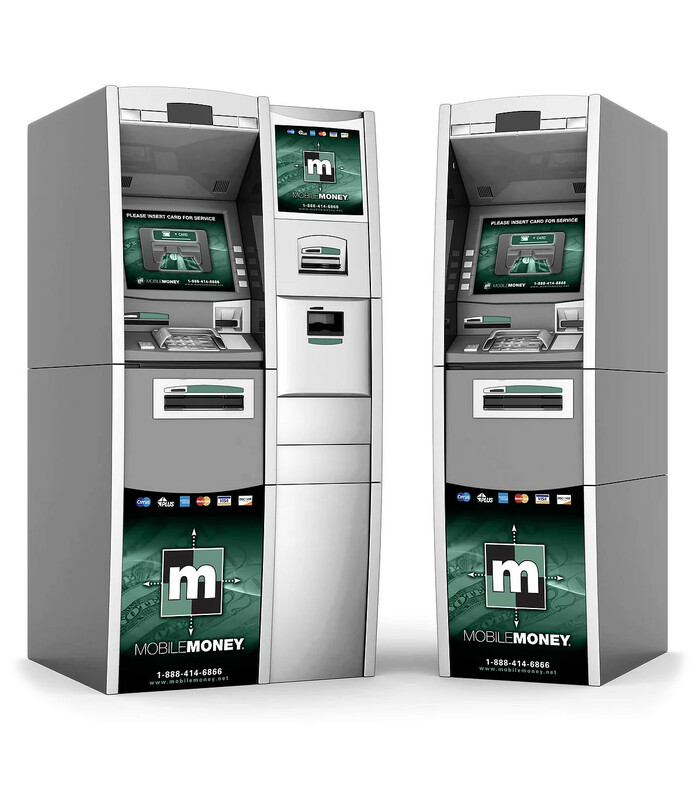 MOBILEMONEY Has The Retail ATM Products & Services You NeedContact MOBILEMONEY to discuss your unique ATM needs and, if you're ready to purchase, check out our step-by-step guide on how to buy an ATM with us. Discover a variety of retail ATMs and how we make installation and maintenance easy. Contact Us To Discuss Your ATM Needs Today!